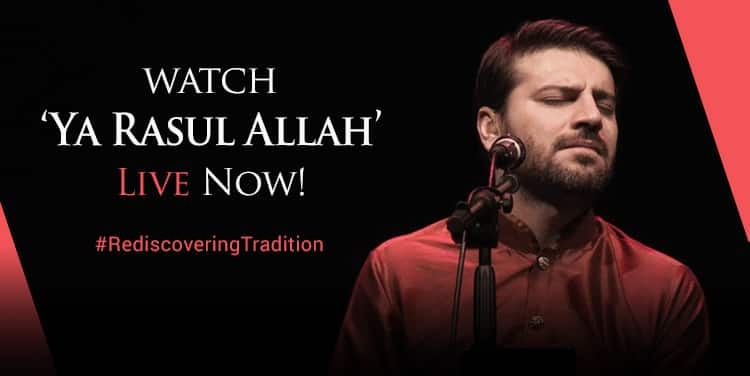 Sami Yusuf explores the mighty sounds of sacred Islamic music through his live rendition of the beautiful piece ‘Ya Rasul Allah’, performed live on 02 May at the iconic Phoenix Theatre in London’s West End. This beautiful song comes from the Kurdish Qadiri zawiyas (Sufi centers) of Western Iran. It is a traditional devotional piece expressing love of the Prophet and longing to visit Medina. The original words are in Kurdish but additional verses in Arabic have been added. The traditional khānghāh daf rhythm of “Ḥay Allah, Ḥay Allah” is incorporated into this piece with a time signature of 10/8.